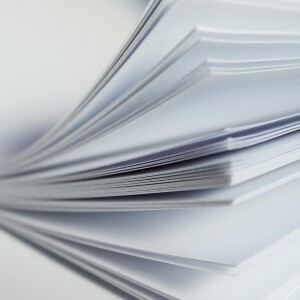 Paper is used for stationary and posters. 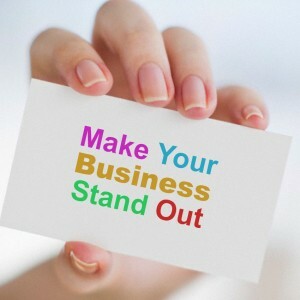 Card is used for business cards, posters and other promotional products. 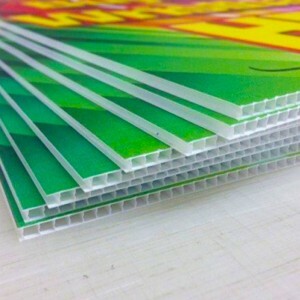 Foamcore is used for large point of sale (POS) posters & cutout posters. Indoor use only. Banner material is durable and used for both indoor and outdoor purposes (events, promos). It can come illuminated and non-illuminated. Short &long-term options available. Foamex is used for cut lettering, profile letters and bespoke shapes. 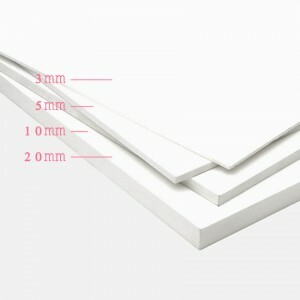 It is also used for posters and promotional displays. Lightweight & outdoor suitable. Corrie Board material is cost effective and a very eye-catching way of promoting your company to potential clients. 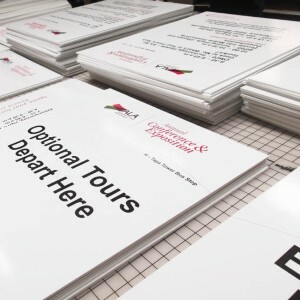 With Corrie Board, you may print direct to board for short-term outdoor use and/or laminate for long-term use. 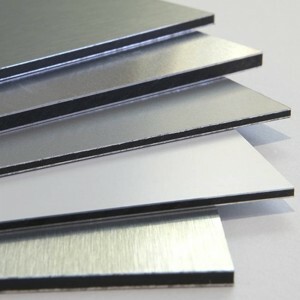 Available thickness: 4mm, 5mm, 6mm & 10mm. 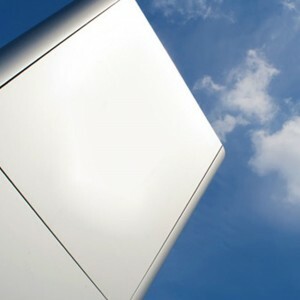 Alu Panel (Di-bond) is a long-term signage and graphics panel solution for outdoor use. It is weatherproof. Aluminium signage offers a robust and long lasting signage solution. Regularly used for industrial environments (building sights, car parks, business signage above premises), this material is characterised by its strength and durability. 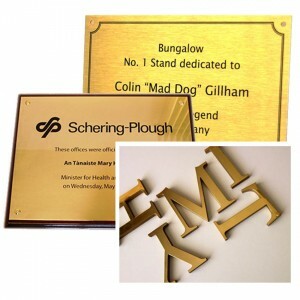 Brass is used for decorative panels, lettering and professional business plates. 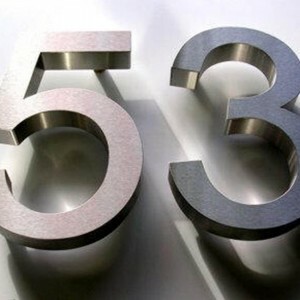 Stainless Steel is used for built-up lettering / professional plates and plaques. Perspex signs or acrylic signs are very versatile; you can put them to use in a wide range of situations as interior business signs or as your business sign at the entrance of your premises to increase your organization’s visibility level. 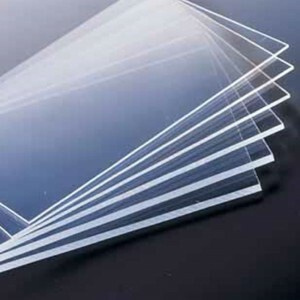 Perspex can be used with vinyl or mirror graphics. 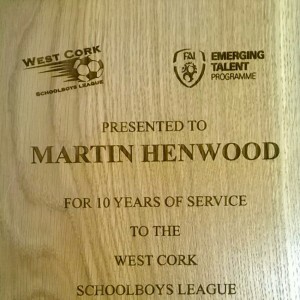 Wood can be cut to shape, laser etched or routed to suit your business needs. 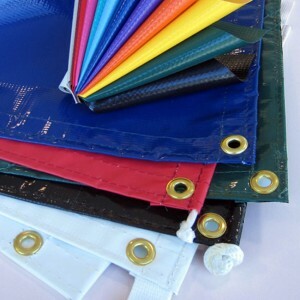 Flags come in a variety of sizes and shapes. 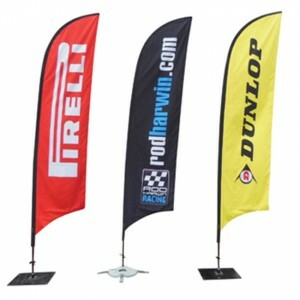 They can be used for promotional purposes and are perfect for both indoor and outdoor use. Static Cling is repositionable and reusable and is the perfect solution when you want temporary window signs that are transparent and see-through from both sides. They’re easy to install; both sides cling to glass on portions where there is no print. They can be removed and reused multiple times. 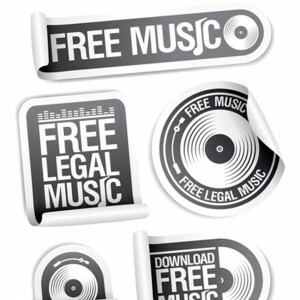 Stickers are available in all shapes and sizes and can be made to your business requirements. 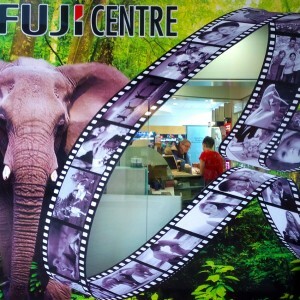 Digital Wallpaper has a large range of applications ranging from corporate to branding, safety to promotional. Suitable for short and long-term use. Can also be anti-vandalism / graffiti. Decal Floor Graphics is a clear, embossed, 200micron monomeric calendared vinyl with a UV-resistant, clear, permanent, solvent acrylic adhesive system. 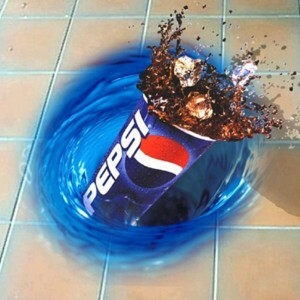 This product has an anti slip embossed texture for floor graphic applications. Decal Floor Graphic can be used for over-laminating of solvent inkjet printed graphics for application to smooth surfaces. 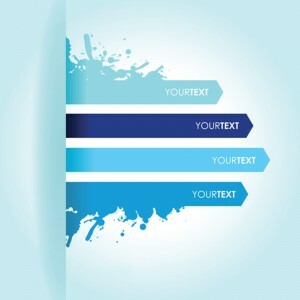 This kind of graphic is suitable for commercial & retail environments. 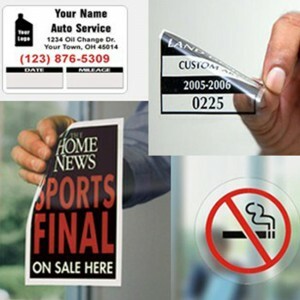 Glass can provide the perfect canvas for marketing the services or products that your company provides. Window graphics may be designed to echo your brand or to work alongside your other signage, providing a distinct message with regards to what your business is about. Windows can be changed into massive billboards to promote the company without limiting sunlight or greatly blocking your view.